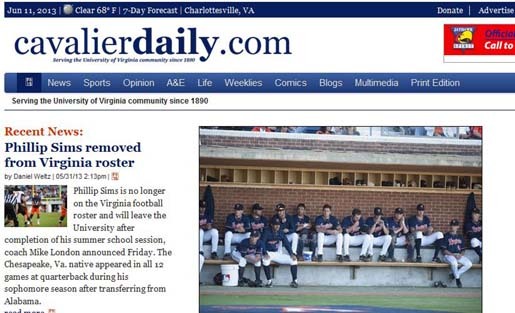 Matthew Cameron, a recent University of Virginia graduate and Cavalier Daily staffer, put together a 136-page thesis on the current state of college newspapers. During his senior year at the University of Virginia, recent graduate Matthew Cameron put together a 136-page thesis on the current state of college newspapers. Here it is, in seven words: Student papers are hurting, but there’s hope. That’s summing it up — not selling it short. Cameron’s scholarly effort provides a fascinating glimpse into the big-picture challenges and opportunities college media face. Along with historical background work, he conducted interviews and explored current newsroom operations at a number of top student-run newspapers, including The Red and Black at the University of Georgia, the Columbia Missourian at the University of Missouri, and The Daily Texan at the University of Texas at Austin. Atop this outside research, he drew upon his firsthand experiences. While at UVA, he was a dedicated staffer for The Cavalier Daily, the school’s 123-year-old student newspaper. Beginning in January 2012, he also oversaw its operations for a full year as editor-in-chief. Cameron’s first suggestion: Student staffers must embrace a news production model less reliant on print and a pay model less reliant on, gulp, money. Over the past few semesters, there have been public fights started by individuals at a number of high-profile universities aimed at keeping their schools’ student newspapers in print daily. One irony Cameron came across in his research: This “daily fight” in many cases was over long before it began. Cameron’s second suggestion: Conduct regular surveys or focus groups of student readers about what they want or need in a news outlet. His research revealed that a surprisingly high number of student newspaper editors and advisers are not aware of how, how often or how much their publications are being read. Cameron’s final suggestion: Remove the administrators, but keep the professionals. Based on his research findings, Cameron said student newspapers should ideally be structured as 501(c)3 non-profit organizations so they can maintain a greater degree of financial and operational independence. While pushing for minimal administrative involvement, Cameron does recommend that papers have professional staff in place to support students and provide institutional knowledge. Amid the high staff turnover rate, declining print pick-up rates, and decreased pay rates, Cameron is ultimately optimistic about the future of the student press. Dan Reimold is an assistant professor of journalism at the University of Tampa. 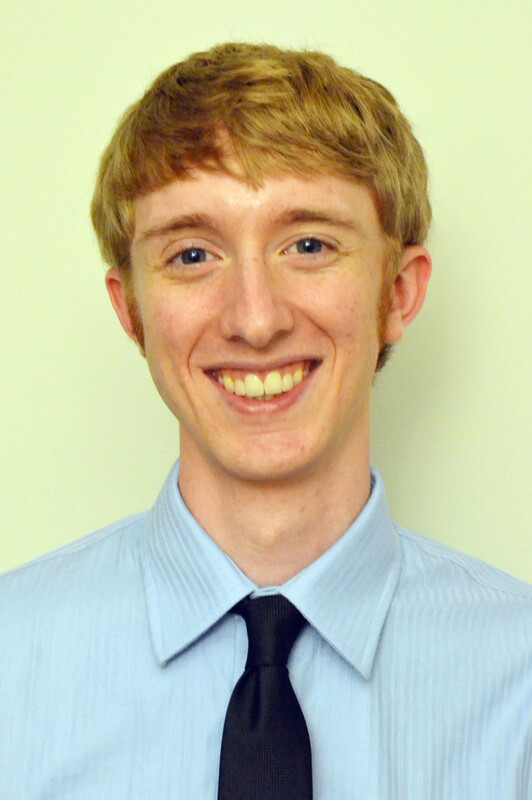 He writes and presents frequently on the campus press and maintains the student journalism industry blog College Media Matters, affiliated with the Associated Collegiate Press. His textbook Journalism of Ideas: Brainstorming, Developing, and Selling Stories in the Digital Age was published in April by Routledge. These steps are very helpful in helping a college student newspaper. Being a college student though, I feel as if the newspaper is just dead. There are people who read our school newspaper but most of it gets recycled. I think if colleges had a news website that would be a great way of getting school news out to students and alumni. The website could be like ABC or CNN websites where they have news articles but they also have video clips of news. This way we could have open discussions and polls for the audience to participate in.